Windy City Mechanical, Inc. is proud to serve the Frankfort community! About Frankfort, IL - Happy to be your hometown Heating & Air Conditioning Contractor! Frankfort is an Illinois village located in Cook and Will Counties. In 2010, the population of this community was approaching 17,800 residents, showing an increase from roughly 10,000 residents in 2000. Forbes magazine has indicated that this village is one of the top 50 fastest growing suburbs in the U.S. The village was incorporated in 1879, and it consists of nearly 15 square miles of total area. 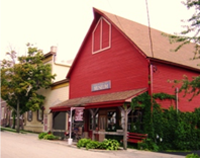 Frankfort is home to several great activities and area attractions. The KidsWork Children’s Museum provides a variety of great activities and exhibits for children, including an imagine theater, tot spot, and pet vet centers. Budding musicians may enjoy browsing through the inventory at Down Home Guitars, and teens may like to spend an afternoon with their friends at CMP Tactical Laser Tag. This portion of Illinois is also home to numerous golf courses and country clubs, including the SPG Green Garden Country Club, which is located on West Manhattan-Monee Road in Frankfort. Frankfort residents will need to utilize both home heating and air conditioning systems at different times during a year. Summers in this community tend to be hot with moderately high humidity, and although this type of weather can be popular for swimming, golf, and other outdoor activities, in some cases it can be dangerous. Children, the elderly, and people who are battling chronic medical conditions are especially in need of a cool place to get away from the heat, so residents are encouraged to use the mild, rainy spring season to have their air conditioning units checked out by an HVAC professional. Winters in Frankfort are cold and can experience moderate snowfall. In January, average high temperatures will fail to reach the freezing point, which can lead to dangerous indoor and outdoor conditions if residents are not prepared. An energy-efficient heat pump or furnace can help homeowners to save money on their utility bills while also keeping their home interior warm.